The Minnesota Bureau of Criminal Apprehension (BCA) trains its employees to testify in court that the DataMaster DMT (used in the majority of DWI arrests in Minnesota) is designed to give drivers the "benefit of the doubt." 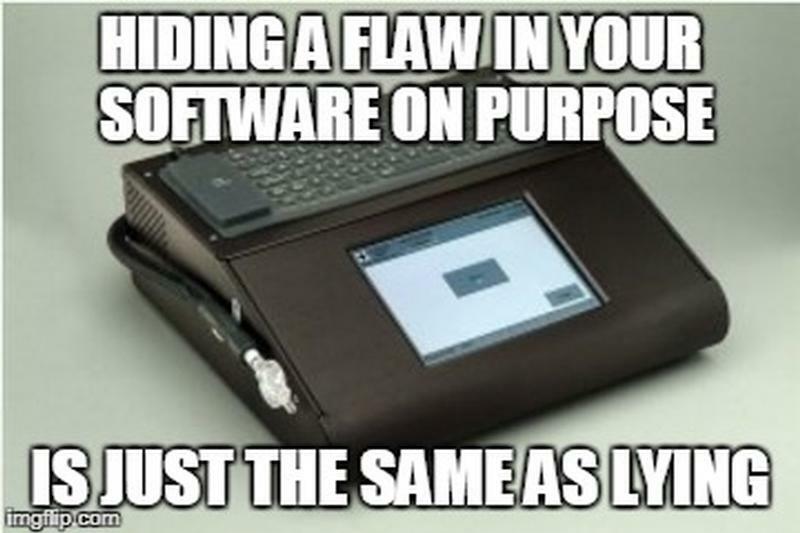 They "truncate" the breath test results, they take the "lower" of two breath samples, they have all sorts of "filters" to screen out false positive tests. Think of how absurd would it be if the machine keeps measuring someone's breath, and keeps getting a result that is below the legal limit, again and again -- and then turns around and reports a result that hits or exceeds the legal limit? That's not just unfair, it's an outright lie. But we've seen multiple breath tests where the machine decides to print a result that is different than the actual measurements. In fact, we recently won a case for one of our clients because of this exact problem. Do some DataMaster DMTs randomly decide to start "rounding up" breath test results to get more convictions? Here's the thing: we've never heard a government witness testify in Court that this breath test machine "rounds up" its measurements. Surely they'd admit that while also talking about all the benefits of getting your breath tested on a DataMaster DMT. Wouldn't they? No. No, they would not. And don't call me Shirley. But we're nothing if we're not persistent, and we've been digging into the guts of the DataMaster DMT since before Minnesota even started using it. That's partly because the State of Minnesota has a track record for hiding flaws in its breath testing program. And when they try to cover up a software malfunction, we always like to be the ones that spot it. Which we did (again) and used it to win a case for one of our clients (again). You can read the winning order here. But in summary, what happened is that we dug deep into the "data points" for our client's breath test -- the quarter-second measurements taken from each breath sample. That was when we noticed something odd -- the machine was reporting our client's alcohol concentration as being over the legal limit, but the raw data showed that the machine never actually measured her breath alcohol as over the legal limit. That's right -- each measurement of our client's breath came back below the legal limit, but the final reported result magically, mysteriously crossed that threshold. We're not posting this blog, and this victory, to tell everyone that the DataMaster DMT is rounding up the reported alcohol concentration in some cases. No, this looks much worse. Based on other cases we've reviewed, this actually looks like the machine is artificially printing final results that are not actually based on the measurements that the machine is taking. Not just final results, either. That's why you can't trust the government, and THAT'S why if you're charged with a DWI you need an attorney who understands the science behind DWI as well as we do. This looks like the tip of a deep and dangerous iceberg.